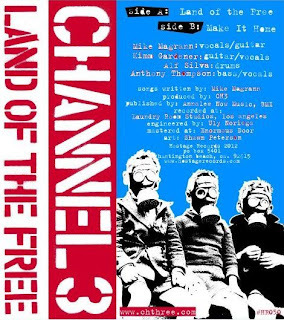 Few predicted 2012 would see SoCal punk come back into view but between OFF!, Redd Kross and now Channel 3, that's exactly what's happening! It almost seems like these grown men have realized that something they pioneered when they were kids was not so fleeting as it once seemed. So, now, rather then just leave their legacies lie fallow, they've each decided to bring the thing back to life. The striking work we're hearing from these not-young men demonstrates that their music wasn't just an ash heap of adolescent angst but a gritty feature of America's cultural landscape, like the Badlands but with more shouting and trebly guitar! 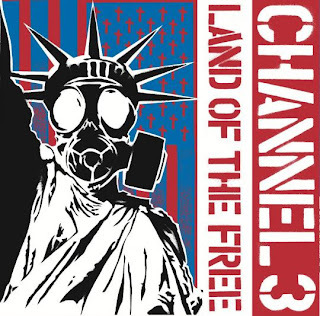 As for Channel 3 (much more HERE), though they might not have signed to as a high-profile label as Vice or Matador (those in the know do revere their new label, Hostage Records) they have taken this late-date to put out one of the best works of their career. 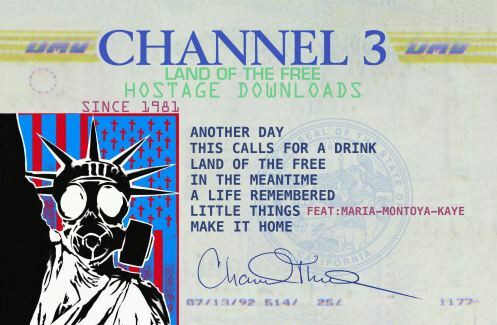 While Land of the Free is technically a single, due to the two songs on the vinyl, the download card that comes with the record fleshes it out into a seven-song EP. And what an extend play it is! 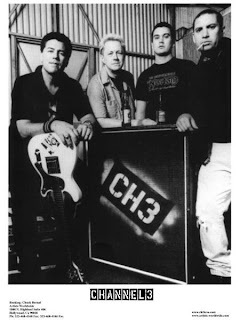 Those who need speed, will thrill to the band's ripping paean to the bottle, "This Calls for a Drink" and the ferociously mournful "A Life Remembered" (released previously as a B-side). 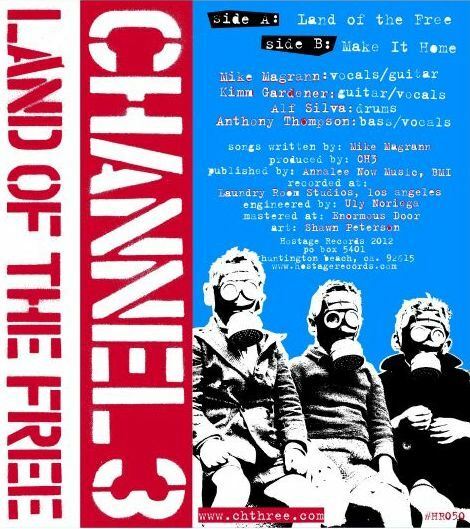 Those who revere the band's mastery of the mid-tempo, guitar-powered sing-along will be no less satisfied here. Tracks like "Another Day" and "In the Meantime" recall the band's more tempered phase, circa 1984 classic, "Indian Summer", while "Land of the Free" carpet bombs the current political landscape with Clash-level precision and "Make It Home" slows things down just enough to power-up the big chorus. Even with the twenty minute duration of this trip, there's room for a detour, in the form of the band's charming cover of Sonny Bono's "Little Things" featuring the return of Maria Montoya-Kaye who first sang with the band on their debut albums 30 years ago! Land of the Free finds Channel 3 considering all the twists and turns they've made on their ramshackle voyage and deciding they've only just begun. 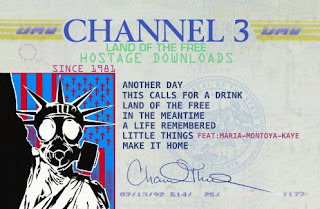 Alright MRML readers, whadaya make of the new CH 3 EP? Let us know in the COMMENTS section! Listening to it at this very moment. Damn good stuff for sure. One of my top 10 faves of the year! God, this is awful. The current state of 'punk' is fine and healthy enough without all these tired old weenbags coming back and trying to reclaim some cash for themselves. If punk is so worthwhile to them now, then how come they all ran away from punk and went goth/metal/rock back in the '80s? Chasing dollar signs then and chasing dollar signs now, who needs 'em. Brushback, these bands are not making any money off of playing. Trust me. Nobody's suggesting that they're raking in wads of cash, but they're making enough to make the effort a lot easier. That's why they all went hair-metal back in the mid-80's -- because that's what the clubs were willing to hire -- and why they're all back to being 'punk' now. Saw Channel 3 in Gothenburg, Sweden at the WayOutWest festival and they rocked! The song is great!